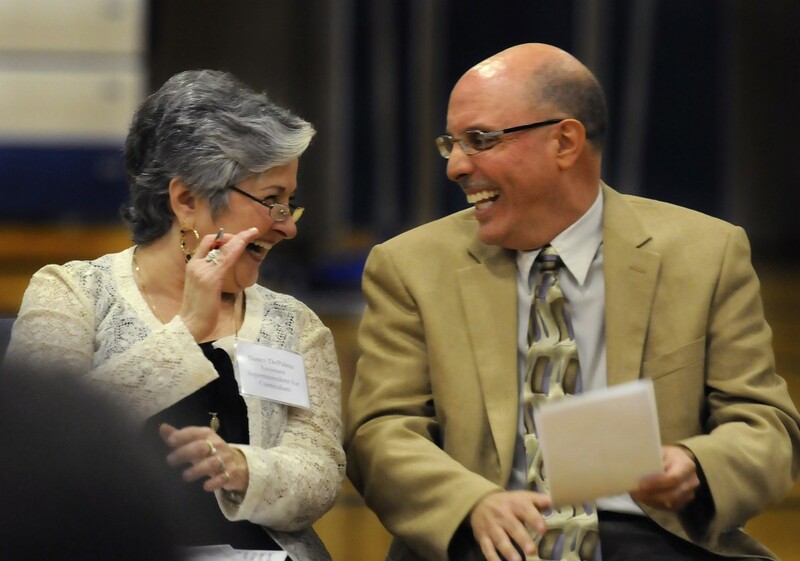 Hall High School band director John Mastroianni is Connecticut’s 2014 Teacher of the Year. Mastroianni, a 53-year-old professional saxophonist, has taught at West Hartford’s Hall High for 15 years. He leads Hall’s famed annual “Pops ‘N Jazz” show and has been honored with many jazz educator accolades. Hundreds of Mastroianni’s music students, gathered in the gymnasium under the guise of welcoming visiting German students to the school, erupted into applause and cheers when they heard the news about their beloved teacher.